This is the second post in our “Marijuana Possession in Arkansas” series. Our last post discussed the stiff penalties that are imposed for marijuana possession in Arkansas. These penalties continue to be enforced under Arkansas’s current state laws, but may be subject to change depending on the result of new marijuana propositions that are up for the November 2014 ballot. This post will discuss what practical information residents need to know if they are arrested for marijuana possession. A common scenario our office commonly sees is a police officer finding marijuana in a vehicle during a traffic stop for a minor infraction. Police officers are allowed to stop your vehicle if they have reasonable suspicion that you have committed any offense, even a minor traffic infraction. Simply having the right the stop you, however, does not give the officer a right to search every nook and cranny of your vehicle. If Arkansas police exceed their bounds, and discover marijuana, then the evidence can be excluded from court by filing a Motion to Suppress. Should this Motion win then the case will effectively be over. 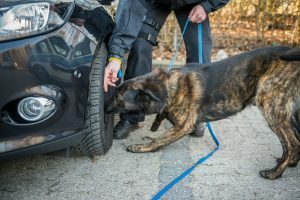 If the police recovered marijuana, or any other drug, from your person or vehicle during a search then you should contact our Little Rock attorneys immediately. It is important to contact an attorney right away if an officer finds marijuana in your vehicle and you are arrested. Even if you believe the officer conducted a legal search, an attorney may find a breach in protocol and be able to get the charges against you dismissed. Do not speak to prosecutors or confess to owning anything while you have charges pending. If you have been detained on suspicion of marijuana possession do not hesitate. The sooner you contact an attorney, the better a chance you have of beating your charges. Our office is ready to assist you.